Whether it’s via Pinterest or other blogs, I’ve seen a great obsession lately with using shoe organizers for anything but. The possibilities are endless! I just so happen to have a shoe organizer buried in the abyss of the guest closet. 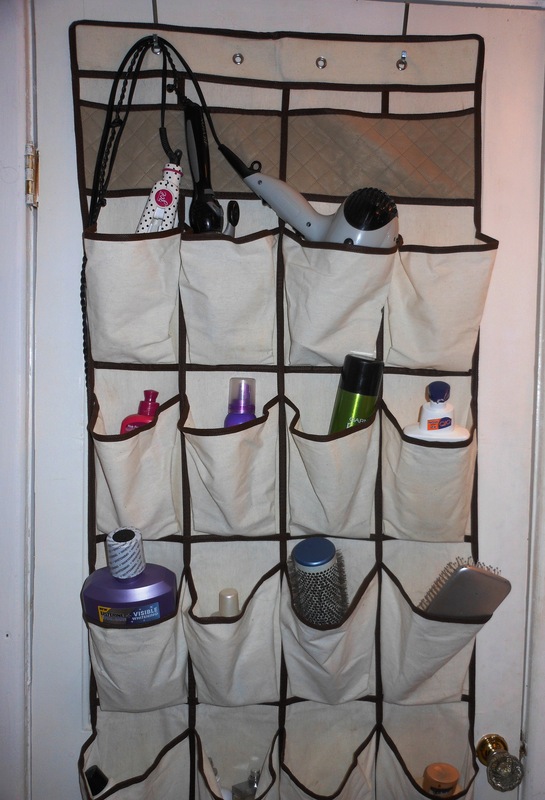 So I dug it out and hung it in my bathroom to organize my hair products, lotions, curling iron, straightener, hairdryer…you get the idea. As I finished curling my hair this morning, I reached for my hairspray so conveniently located at eye level, within arms reach behind the door (sure beats bending down to retrieve it from the cabinet…lazy, yes…but also keeps things in their proper place so an avalanche of products won’t bury me in my bathroom floor). Here’s my take on the shoe organizer mania. 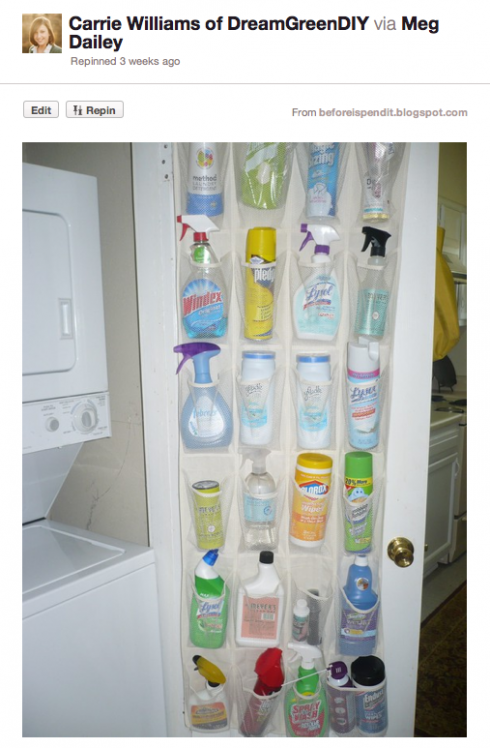 This entry was posted in DIY, Life is Style and tagged bathroom storage solution, shoe organizer ideas, shoe rack, storage using shoe organizer by Shelly Brockman. Bookmark the permalink.